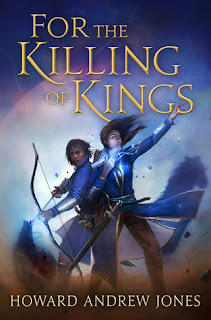 Howard A. Jones has long held a passion for action fiction and throughout his career has re-introduced readers to Harold Lamb, moderated Sword and Sorcery websites, and edited the Dark Fantasy magazine Blackgate and currently Tales from the Magician’s Skull & Perilous Worlds. 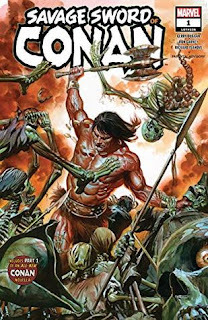 - 1978 unknown/uncredited artist for the H. Rider Haggard book "Eric Brighteyes"
Conan and the Emerald Lotus by John C. Hocking the 1995 pastiche which has a 2019 sequel (of sorts) with a serialized novelette in Marvel's Conan The Barbarian (2019-) #1(penned by John C Hocking, included as a parallel story with the comic). That series started release this year in January and continues! 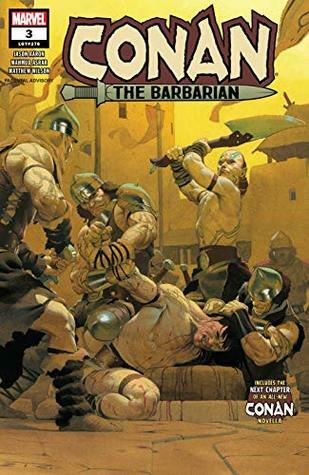 "Eric and Skallagrim boarding the Raven" // "All Night Long Gudura Sat in the Bride's Seat"
This is part one of three separate reboots for Marvel's Conan. 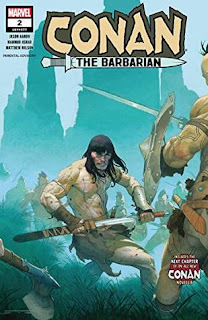 I am also reading the Conan the Barbarian yarns (CtB, now on #3), and will likely try out the Age of Conan series (AoC, due out next month, March 2019). Like the CtB series, this comic also has a novelette attached; this one also appears unrelated to the story in the comic. This one is penned by Scott Oden. For me, this story is less an add-on and more of the real feature. 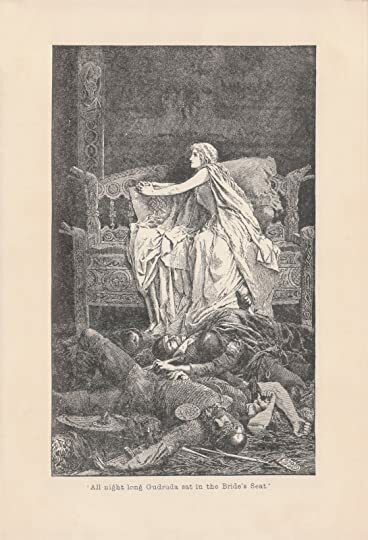 It is presented as a sequel to Robert E. Howard's 1934 The Devil in Iron, a short story that presents Conan as a leader of a kozak group who annoys a corrupt governor from Turan. I was instantly inspired to re-read it. 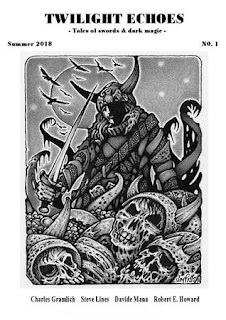 That is a testimony to Oden's pastiche which deftly continues the tale without explicitly presenting the barbarian. The comic part had some highs and lows. Here Conan is ostensibly twenty years old, living as a pirate. 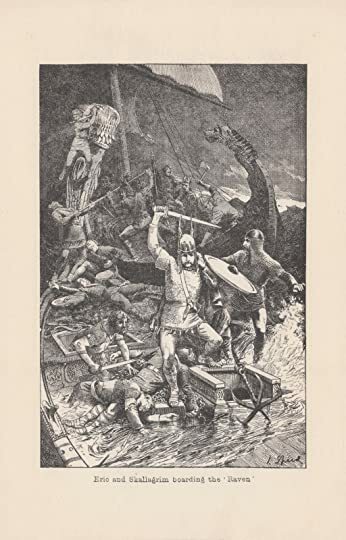 In a disjointed tale, he is captured in the high seas from wreckage, imprisoned, then must fight for freedom from a Stygian galley. I was most impressed with Conan when he... hmmm.. "procures" some bones to unlock his manacles. That was a savage and witty scene, true to Conan. I was less impressed with a kick-to-the-groin and an anachronistic depiction of a gun on a pirate (noted by several Facebook groups). Monsters and sorcery sneak their way in, but not smoothly. 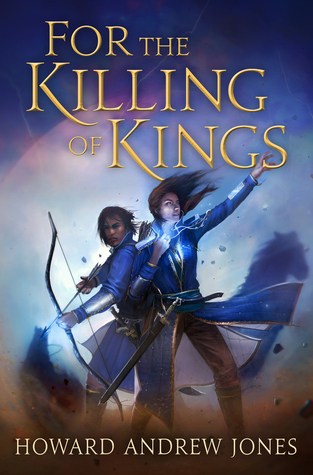 As cool as the cover is, it only tangentially reflects the story. Beware Marvel's ADHD: I was concerned about the frenetic coverage of location and times within CtB, and that concern is amplified here with SSoC. This introduces two new story yarns in parallel. 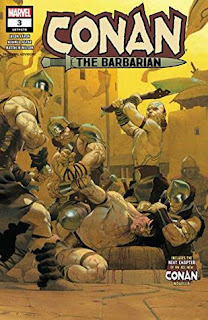 Let us assume that the AoC has a story too... that would mean that Marvel is giving readers ~6 separate Conan yarns nearly simultaneously; within the comics, Conan seems to be flitting about new geographies every issue.